World Polio Day 2017 is to be celebrated on the 24th of October every year to spread awareness about Polio and how to abolish it completely. This day was first established by the Rotary International almost a decade ago to observe the birth of Jonas Salk, who headed the team to develop a vaccine against poliomyelitis. 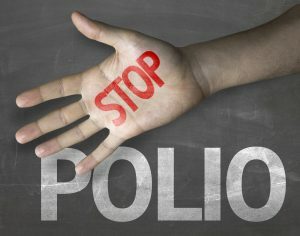 Albert Sabin’s use of inactivated poliovirus vaccine and oral poliovirus led to the establishment of Global Polio Eradication Initiative (GPEI) in 1988. According to a study, as of 2013, 99 percent of polio cases had been eradicated. Polio is a menacing and crippling disease that affected millions of people in the 19th century. This disease is quite impossible to treat once the patient succumbs to it. But there are preventive measures that can be adopted to curtail the disease and eventually eradicate it from the face of the earth. The disease can be effectively prevented with the use of immunization vaccines. Children who are given these vaccines two to three times are known to almost never catch the polio virus. The aim of World Polio Day is the immunization of every child till transmission ceases and the world is polio-free. This year the World Polio Day is to be hosted by The Bill & Melinda Gates Foundation, a first since the inception of this day. The event will be hosted at the campus of the Gates Foundation in Downtown Seattle, Washington, on the 24th of October. The event will be live-streamed and audiences who cannot attend the event in person can either view a recording or watch live at 14:30 Seattle time (UTC-7). 2017 has been very good for the fight against Polio as only 11 new cases have been found and all of them in Pakistan and Afghanistan. Bill Gates has increased his foundations pledge to contribute 2-to-1 in comparison to the contribution by the Rotary International. Rotary’s efforts and the contributions made by world governments and donations by corporations has made the fight against Polio a $1.3 billion affair. Some of the speakers at the event are Jay Wenger, director of the Bill & Melinda Gates Foundation’s polio eradication efforts; Dean Rohrs, vice president of Rotary International; John Cena and Tiwa Savage, Rotary polio ambassadors; Ade Adepitan, a Paralympian and polio survivor; and Jeffrey Kluger, senior editor at Time magazine overseeing science and health reporting. The celebration of World Polio Day in the Americas is especially significant as it is the 26th year they are celebrating a polio-free Americas. It has all happened with the collaborative efforts of governments and organizations working tirelessly to see this day come true. But, there are still three countries in the world where the polio virus still exists and until the whole world is free of the poliovirus, no country is truly free from it. Therefore, on this day we renew the commitment to eradicate this disease like we did the smallpox virus.